In today’s post we are going to review the results of a phase 1 trial for new kind of drug being oriented at Parkinson’s disease. The results were announced in late September, and they indicate that the drug was well tolerated by subjects taking part in the study. Here at the Science of Parkinson’s disease we are always on the look out for novel drug therapies. Many of the treatments currently being tested in the clinic are simply different versions of L-dopa or a dopamine agonist. So when Prexton Therapeutics recently announced the results of their phase 1 clinical trial for their lead drug, PXT002331, we sat up and took notes. PXT002331 (formerly called DT1687) is the first drug of its kind to be tested in Parkinson’s disease. It is a mGluR4 positive allosteric modulator. What on earth is mGluR4 positive allosteric modulator? The metabotropic glutamate receptors (mGluR) are an abundant family of receptors in the brain. Proteins bind to these receptors and activate (or block) an associated function. There are many different types of these receptors and mGluR4 is simply a small subset. The mGluR4s, however, are present in the areas affected by Parkinson’s disease, and this is why this particular family of receptors has been the focus of much research attention. This is the key part of this new approach. Allosteric modulators are a new class of orally available small molecule therapeutic agents. Traditionally, most marketed drugs bind directly to the same part of receptors that the body’s own natural occurring proteins attach to. This means that those drugs are competing with those endogenous proteins, thus limiting the potential effect of the drug. Allosteric modulators get around this problem by binding different parts of the receptor. And instead of simply turning on or off the receptor, allosteric modulators can either turn up the volume of the signal being sent by the receptor or decrease the signals. This means that when the body’s naturally occurring protein binds in the receptor, allosteric modulators can either amplify the effect or reduce it depending on which type of allosteric modulators is being administered. There are two different types of allosteric modulators: positive and negative. And as the label suggests, positive allosteric modulators (or PAMs) increase the signal from the receptor while negative allosteric modulators (or NAMs) reduce the signal. Thus, mGluR4 PAMS are amplifying the signal of the mGluR4 receptors. Why do we want an amplification of a particular signal? 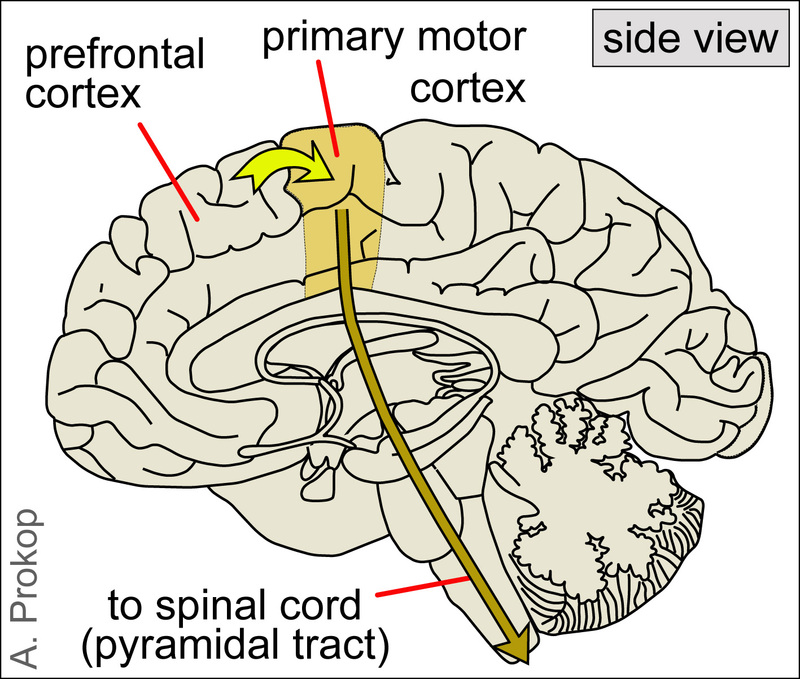 The primary motor cortex receives information from other regions of the brain (such as the prefrontal cortex where you make a lot of your decisions), and it will then send a signal down into the brain and down the spinal cord telling the limbs to move. On the way down through the brain, the signal will pass through a series of check points that will filter the signal and determine the final strength of it. EDITOR’S NOTE: We have borrowed this image from the Parkinson’s biology blog, which we are huge fans of. We highly recommend people visit that site as well as our lovely site. They also provide easy to understand explanations of the biology of Parkinson’s disease. 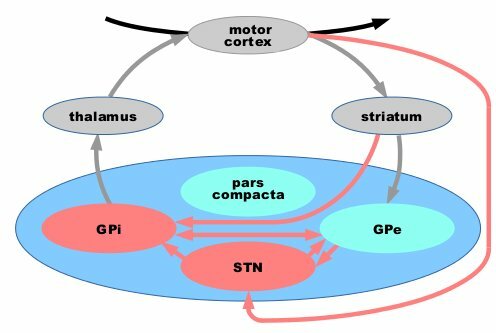 The globus pallidus (GPi) is the last area of the basal ganglia that the signal will pass through on it’s way to the thalamus (the ultimate decider of whether you will move or not), so if there is anything going wrong between these two structures the initiation of movement will be disrupted. In a normal brain, the chemical dopamine is being produced in an area called the substantia nigra pars compacta (say that three times really fast). 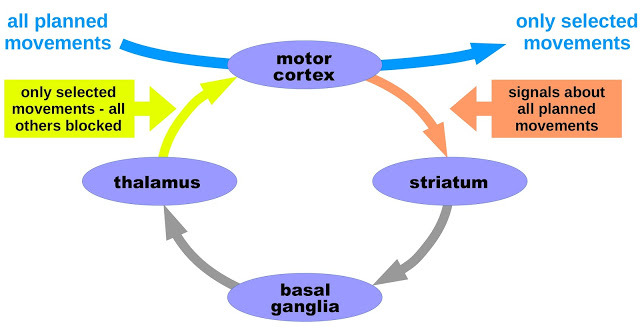 That dopamine is released in the striatum and other areas of the basal ganglia, and it has a mediating effect on the signal passing through these structures. 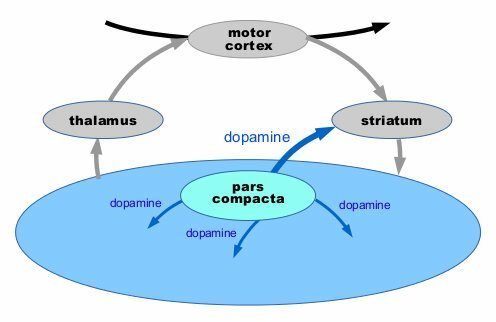 In Parkinson’s disease, however, the dopamine producing cells of the pars compacta are loss – 60% by the time a person starts to have the clinical motor features appearing. The loss of this dopamine leaves the whole system ‘unmediated’. The feedback loop becomes extremely inhibited, resulting in problems initiating movement. 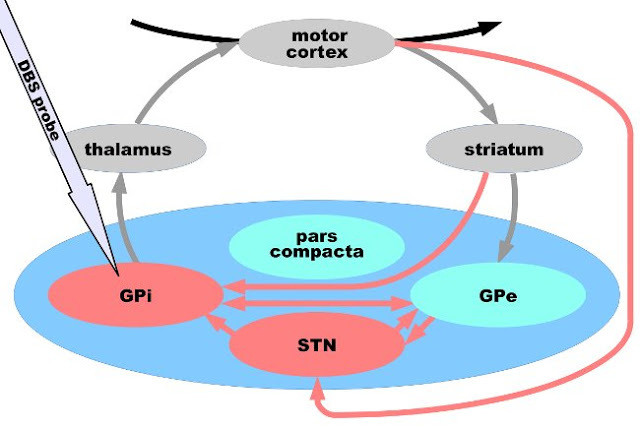 Deep brain stimulation can un-inhibit the globus pallidus, by mediating the signal passing through that structure. But this requires surgery and the implanting of probes deep inside the brain. A better way of reducing the inhibition in this feedback loop is the replacement of dopamine (which we do via the taking of treatments like L-dopa). This has been the standard approach for more than 50 years. A new method of reducing the inhibition in the feedback loop would be to chemically targeting the globus pallidus, and this is what scientists are trying to do with the mGluR4 PAMS. By amplifying the signal of mGluR4s in the globus pallidus, the scientists believe that they can reduce the level of inhibition in the feedback loop. The hope is that this approach is a less Parkinson’s disease-affected treatment. That is to say, the globus pallidus is structurally less affected by Parkinson’s disease than the substantia nigra pars compacta, and thus any treatment of the globus pallidus should be more stable over time (as the disease progresses). That said, it is acknowledged that mGluR4 PAMS are NOT a potential cure for Parkinson’s disease, but rather a better way of treating the condition. What research has been done on mGluR4 PAMS and Parkinson’s disease? In August of 2003, some researchers at the pharmaceutical company Merck published a study which indicated that activation of mGluR4 could decrease the excessive levels of inhibition in the globus pallidus. Title: Group III metabotropic glutamate receptor-mediated modulation of the striatopallidal synapse. Authors: Valenti O, Marino MJ, Wittmann M, Lis E, DiLella AG, Kinney GG, Conn PJ. Journal: Journal of Neuroscience. 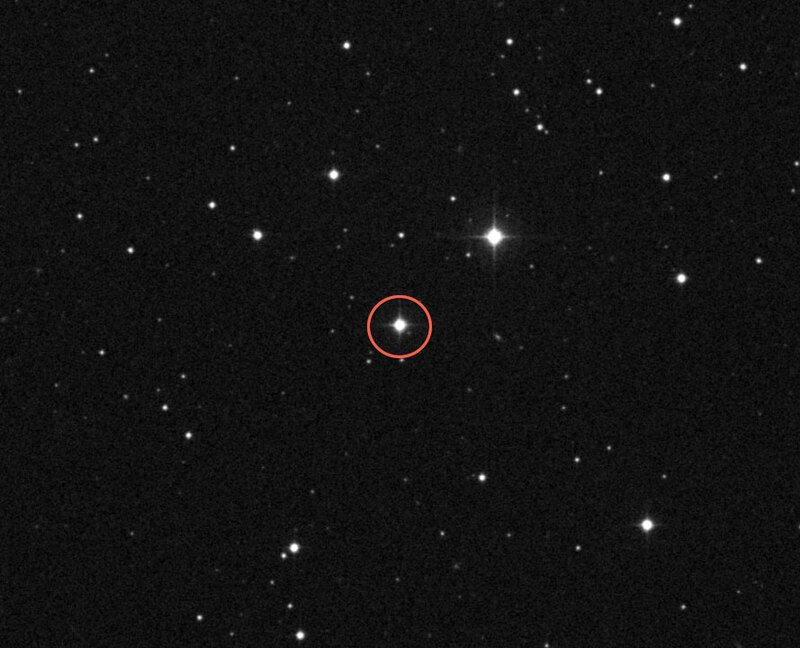 2003 Aug 6;23(18):7218-26. The researchers found that an mGluR4 agonist (a protein that binds to the receptor directly, encouraging the associated action) reduced inhibitory signal being produced in the globus pallidus (through a presynaptic mechanism of action). They next demonstrated that the effect did not happen in mice which do not have mGluR4s, illustrating the specificity of the effect. They finished the study by injecting the mGluR4 agonist into a rodent model of Parkinson’s disease and found beneficial effects – that were equivalent to L-dopa. Title: Allosteric modulation of group III metabotropic glutamate receptor 4: a potential approach to Parkinson’s disease treatment. Authors: Marino MJ, Williams DL Jr, O’Brien JA, Valenti O, McDonald TP, Clements MK, Wang R, DiLella AG, Hess JF, Kinney GG, Conn PJ. Journal: Proc Natl Acad Sci U S A. 2003 Nov 11;100(23):13668-73. In this article, the same researchers introduce a positive allosteric modulator called ‘PHCCC’ which has a preference for binding to mGluR4. They found that when they put PHCCC – in combination with the mGluR4 agonist used in the previous study – onto cells in petri dishes, they got an amplification of the reduction in inhibition in the cells. Administered alone, PHCCC also produced a marked reversal of the motor deficit observed in a rodent model of Parkinson’s disease. 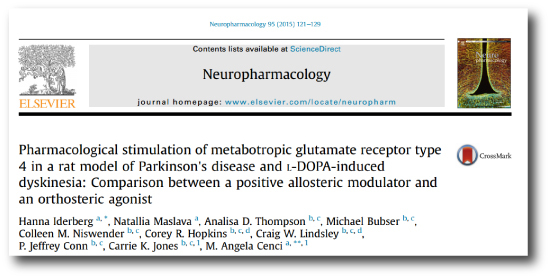 Title: Pharmacological stimulation of metabotropic glutamate receptor type 4 in a rat model of Parkinson’s disease and L-DOPA-induced dyskinesia: Comparison between a positive allosteric modulator and an orthosteric agonist. Authors: Iderberg H, Maslava N, Thompson AD, Bubser M, Niswender CM, Hopkins CR, Lindsley CW, Conn PJ, Jones CK, Cenci MA. In this study, the investigators compared a mGluR4 PAM with a mGluR4 agonist (similar to that used in the previous studies) in rodent models of L-dopa induced dyskinesias. They found that the neither of the two drugs modified the development of dyskinetic behaviours, nor could they modify the behaviours when given together with L-dopa. In fact, when a low dose of L-dopa was given to the animals (resulting in only mild dyskinesias), the researchers found that by adding mGluR4 PAM the dyskinetic behaviours became more exaggerated. The investigators concluded that stimulation of mGluR4 does not have anti-dyskinetic activity. This is an important characteristic to determine before taking a drug to the clinic for Parkinson’s disease. So what were the results of the phase 1 clinical trial? In July of 2012, Merck spun off the research into a new company called Prexton Therapeutics. The company almost immediately started setting up a phase 1 safety clinical trial for its lead compound, the mGluR4 PAM: PXT002331. A total of 64 healthy volunteers were enrolled to evaluate the safety and tolerability of several different doses of orally taken PXT002331. The study was completed on time and demonstrated that PXT002331 is safe and well tolerated (at doses well above those that produce robust effects in Parkinson’s disease animal models). The planning of a phase 2 clinical trial in people with Parkinson’s disease is now underway. It will take place in the first half of 2017, and this study will provide the first indications as to whether this new treatment approach will be effective in human at treating the features of Parkinson’s disease. We will keep you posted on the success of that study when the results become available. Are other biotech companies using this approach? Yes, PAM-based therapies for Parkinson’s disease are very much in vogue at the moment. Just this month, the biotech company Asceneuron received a grant from The Michael J. Fox Foundation for Parkinson’s Research for the development of positive allosteric modulators of the M1 muscarinic acetylcholine receptor (M1 PAMs). So we can hopefully expect more from this approach to therapies. Interesting times. And hopefully positive results to come. EDITOR’S NOTE: It is important to remember that any clinical trial research discussed on this blog is of an educational nature. Nothing written here can or should be mistaken as medical advice. All of these drugs are still experimental and require extensive testing before being offered to the general population. Please speak with a certified clinician before attempting any change to your current medical treatment regime. Interest press release from the biotech company AFFiRiS last week (Click here for the press release) regarding their clinical trial of a vaccine for Parkinson’s disease. We have previously outlined the idea behind the trial (Click here for that post) and the team at Michael J Fox foundation also provide a great overview (Click here for that – MJF are partly funding the trial). In today’s post we will briefly review what results AFFiRiS has shared. Vaccination represents an efficient way of boosting the immune system in the targeting of foreign or problematic agents in the body. For a long time it has been believed that the protein Alpha Synuclein is the ‘problematic agent’ involved in the spread of Parkinson’s disease inside the brain. Alpha synuclein is required inside brain cells for various normal functions. 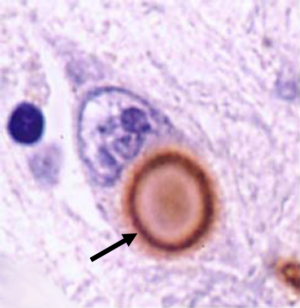 In Parkinson’s disease, however, this protein aggregates for some reason and forms circular clusters inside cells called Lewy bodies. It has been hypothesized (and there is a lot of experimental evidence available to support the idea) that released alpha synuclein – freely floating between brain cells – may be one method by which Parkinson’s disease spread through the brain. With this in mind, groups of scientists (like those at AFFiRiS) are attempting to halt the spread of the condition, by training the immune system to target free-floating alpha synuclein. Vaccination is one method by which this is being attempted. AFFiRiS is a small biotech company in Vienna (Austria) that has an ongoing clinical trial program for a vaccine (called ‘AFFITOPE® PD01A’) against alpha synuclein. The subjects in the study (22 people with Parkinson’s disease) received four vaccinations – each injection given four-weeks apart – and then the subjects were observed for 2-3 years (6 additional subjects were included in the study for comparative sake, but they did not receive the vaccine. Last week the company issued a press release regarding a phase 1 trial (AFF008), which indicated that PD01A is safe and well tolerated, and causing an immune response (which is a good thing) in 19 of 22 (86%) of vaccinated subjects. In 12 of those 19 (63%) participants with and immune response, the researchers found alpha-synuclein antibodies in the blood, suggesting that the body was reacting to the injected vaccine and producing antibodies against alpha synuclein (for more on what antibodies are, click here). 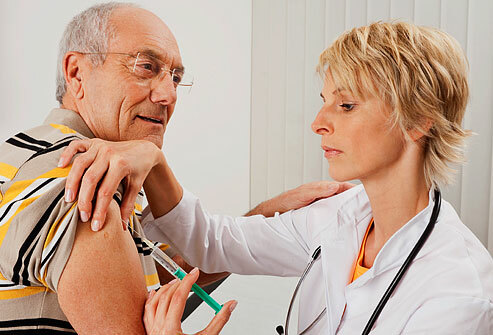 The scientists also conducted some exploratory efficacy assessments – to determine if they could see if the vaccine was working clinically and slowing down the disease. Eight of the 19 (42%) subjects with an immune response, had no increase of their dopaminergic medication (eg. L-Dopa) over the course of the observational period (average three years per subject). And five of those eight subjects had stable clinical motor scores at the end of the study. The company also conducted parallel laboratory-based experiments which indicate that AFFITOPE® PD01A-induced antibodies are binding to alpha-synuclein in various models of Parkinson’s disease. The company will be presenting the results on a poster at the 4th World Parkinson Congress in Portland, Oregon, USA on September 21. So this is a good result right? It is easy to get excited by the results announced in the press release, but they must be taken with a grain of salt. This is a Phase I trial which is only designed to test the safety of a new therapeutic agent in humans. From this point of view: Yes, the study produced a good result – the vaccine was well tolerated by the trial subjects. Drawing any other conclusions, however, is not really possible – the study was not double-blind and the assignment of subjects to the treatment groups was not randomize. In addition, the small sample size makes it very difficult to make any definitive conclusions. It must be noted that of the 22 people with Parkinson’s disease that started the study, only five exhibited stabilized clinical motor scores at the end of the study. It may be too soon to tell if the vaccine is having an effect in most of the people involved in the study. Thus longer observation periods are required – which the company is currently undertaking with their follow-up study, AFF008AA. The results of that study are expected in middle-late 2017.